I needed something to lift my spirits the other night and an instant gratification sewing project seemed like just the thing. I decided to make Little L some much needed lightweight pants using the pattern from this book (thanks to Mossgrownstone who reminded me of them on a KCCO post back in March). I just so happened to have an old shirt ready to be upcycled and finished the pants in less than twenty minutes. Perfection! Of course I didn't realize until after I was ready to add in the elastic that I didn't actually have any on hand. I am hoping to stop by the store tomorrow to pick some up and get these pants on my little guy. 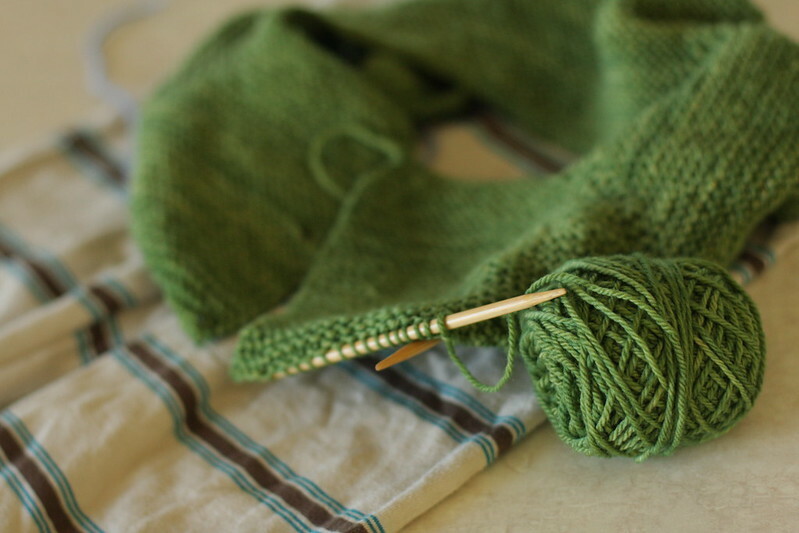 I am also making slow progress on my greenfield cardigan. I foresee myself finishing this in 2015 or so. What are you working on? !